and a bigger apartment. 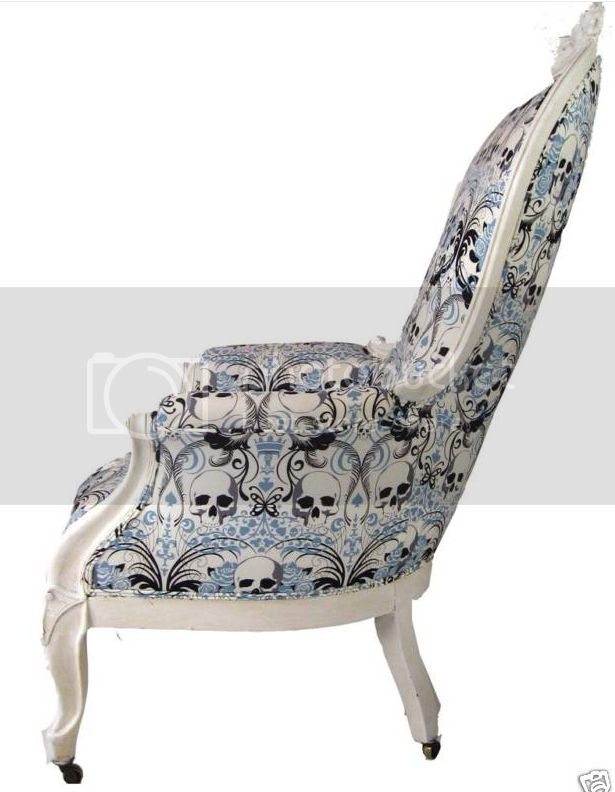 But if you've got loads of cash just sitting around and you can't figure out what to do with it, might I suggest that you pick up these one-of-a-kind skull chairs currently on Ebay? These are from SultanChic, who scours the globe for rare vintage pieces of unusual shape and form and refashions them into show pieces. You can't even imagine what my house would look like if I had unlimited funds. 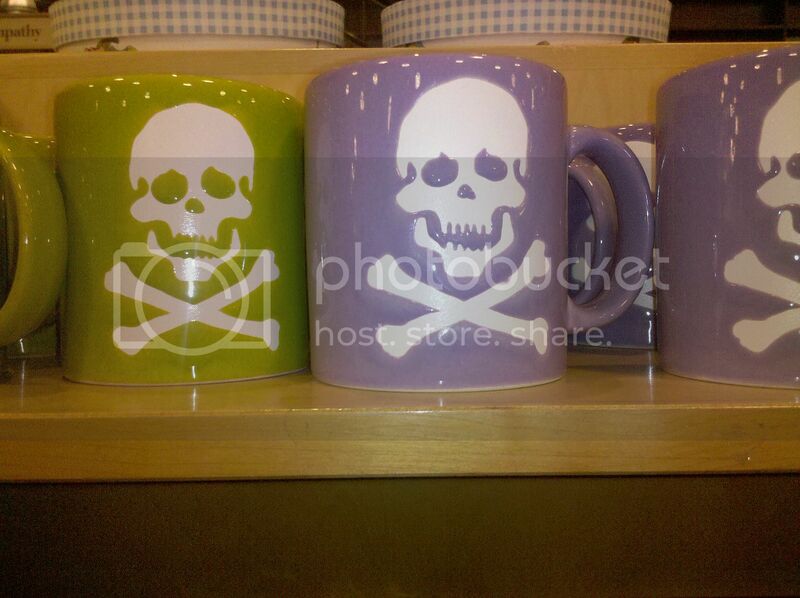 Or, if you're like me and have just about $11.95 you can part with, I ran across these really cute skull mugs at my local Barnes & Noble store. 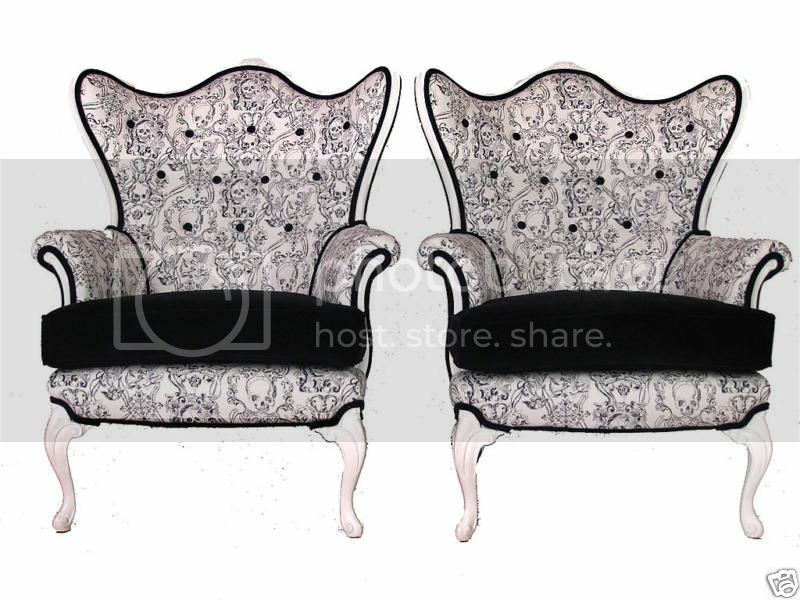 Dang, I threw out one of my wing back chairs because it was so ratty and I didn't want to take the time to reupholster it. 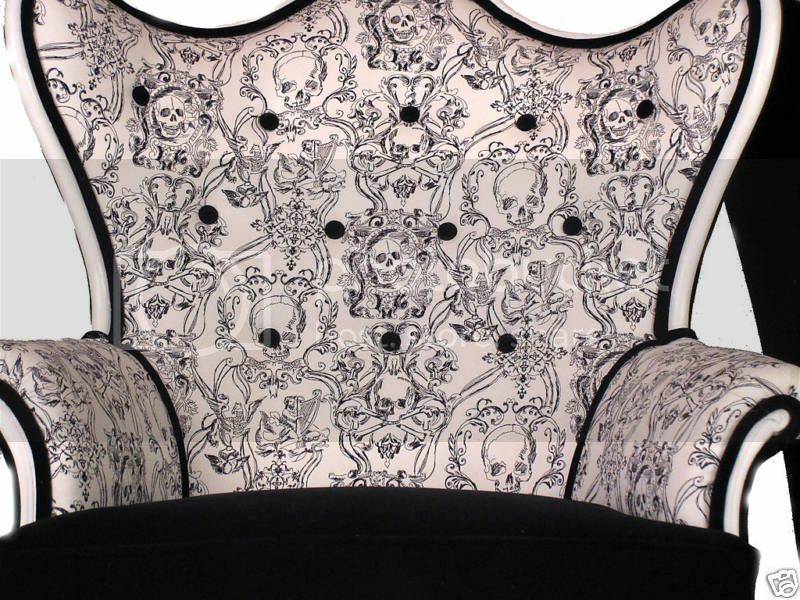 I still have one though, maybe I'll try to find some awesome fabric like this for it. wow! i neeed 7000 dollars too! LOL I have my eye on these mugs. 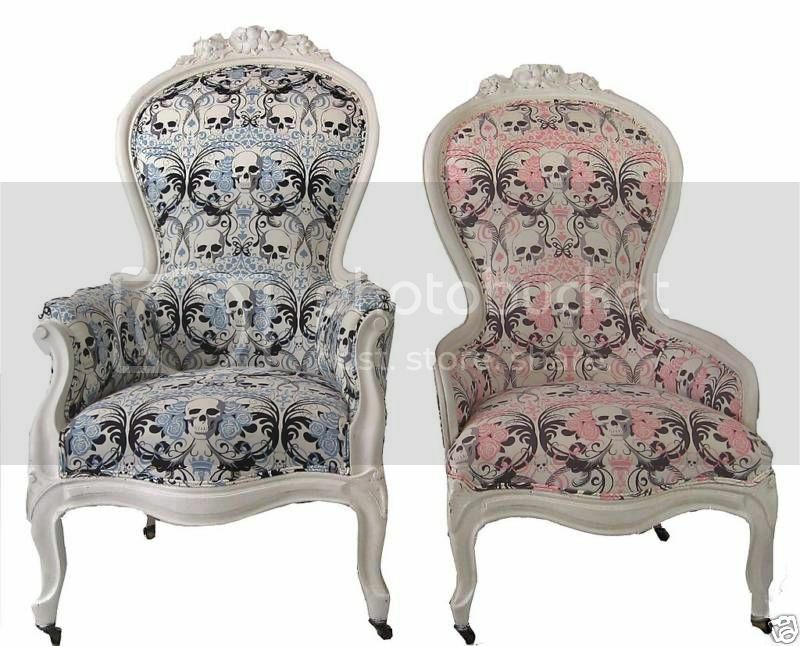 I might get them as my own house warming gift.